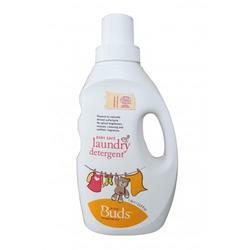 Formulated to be tough on stains, yet gentle on baby's skin, and totally respectful of our planet! All surfactants are naturally derived and easily biodegradable. After washing, soap breaks into lime soap in waste water, which is considered as immediate degradation ( primary biodegradation ). Complete degradation will happen after a few hours. Sugar derived surfactant used in this product is highly biodegradable.